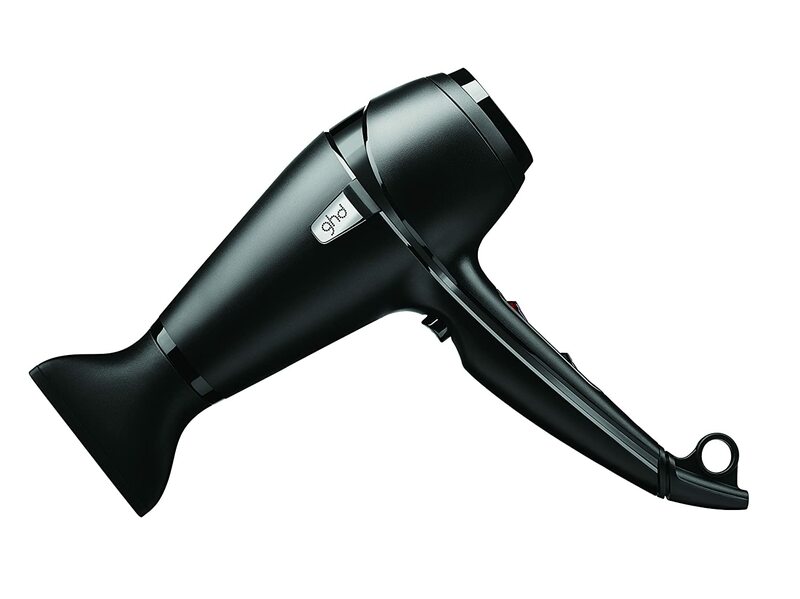 ghd Air Hair Dryer Review - Is ghd best hair dryer? As with the majority of GHD products, I can highly recommend this Air hair dryer. It looks great, feels solidly built, works exceptionally well and if it lasts for years, it’ll be a bargain. Hair dryer motors do have a tendency to overheat after a while and burn out – with regular cleaning of the air filter though you should be able to prolong the life. 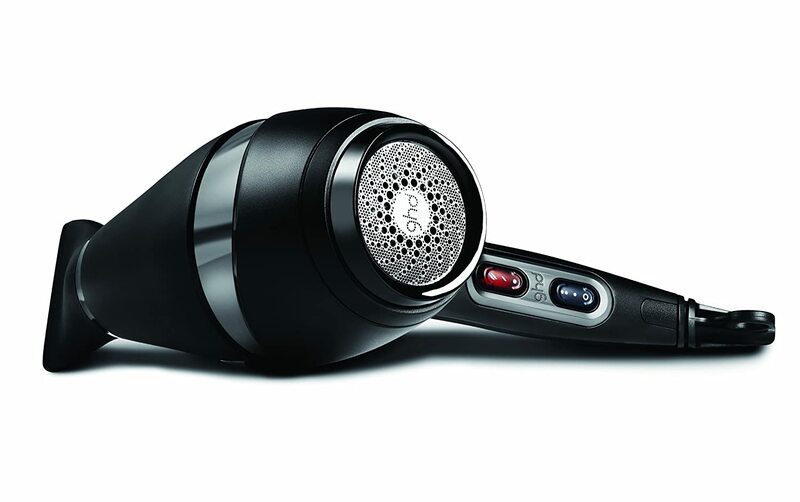 Take care of this hair dryer and you’ll never look back – sure it’s pricey, but when it dries your hair in five minutes….time is priceless. GHD (Good Hair Day) are one of the millennium’s true modern marketing success stories with their reputation being largely started by word of mouth and then bolstered by social media and marketing campaigns. When they started in 2001, the three founders allowed the company to gain a reputation based exclusively on customer’s recommendations and didn’t advertise for the first two years. As a result, they have always been trusted as an authentically great product provider and continue to be leaders in the hair tool industry. As with everything GHD, the aesthetics of this product are smooth, sleek and elegant. It exudes luxury despite being fairly plain and simple in matte black. The box itself makes you simply want to weep with joy – it’s so well designed. With a 3 metre power cord, you can use it extensively without having to sit by the plug socket or risk tripping over the line and anything shorter would be annoying. 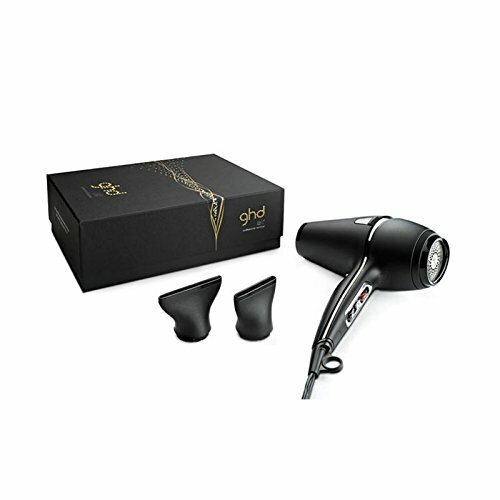 The GHD Air has variable temperature settings and two speed settings in two neat buttons of the back of the handle and a separate button for the ‘cool shot’ that you can use to seal in the style you’ve created. The buttons don’t get in the way while you’re drying your hair and the speed settings are especially useful for the last bit of drying or when you want to create some volume. GHD have always fancied themselves as tools of professionals and it is accurate, just walk into ten salons and see how many use GHD tools – most. As a result, this Air hair dryer has a professional level 2100W motor that will dry your hair in no time and should give a decent lifespan to the dryer. The removable air filter is an interesting addition to this and most hair dryers don’t feature such a thing. Cleaning out the air filter regularly means the dryer will always work efficiently and more safely than one with a clogged filter. The two nozzles are useful – the narrow nozzle is used for styling and focused drying while the wider one will help you get the perfect blow dry look in minutes. To dry your hair quickly and without a particular style, just use it without the nozzles. The main point to stress here is that the nozzles get extremely hot and it’s very important that you don’t touch them after use until they’ve had a chance to cool down. A heat mat is useful here. You can also use the cold shot to take the edge off them. GHD is also a follower of the ionic trend and this will stop your hair from frizzing in the drying process, which can be enough to stop it frizzing full stop. While the ionic technology obviously ceases to have an effect after the dryer is shut off, some people find that it’s the wet to dry process that creates their flyaways and so the ionic capability is definitely a bonus here. 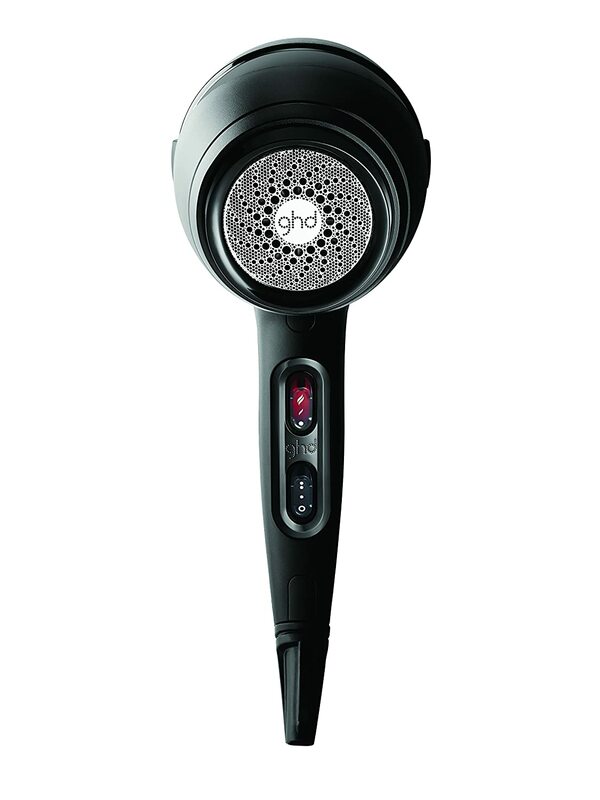 Not the lightest hair dryer on the market, the GHD Air does contain an extremely powerful motor, which weighs it down more than small motors but still remains lighter than many professional level dryers. The quietness of the dryer at low and medium settings is also impressive and even on the high setting it still enables you to, say, hear the doorbell or someone asking you if you want another glass of wine.